Until his retirement in 2018, Frank McGinness delivered art on a consistent basis, on a grand scale, from projects as intimate as a powder room, to the restoration of the walls of a state capitol building and finishing a cabinet that housed the Magna Carta. Frank proudly produced fine finishes with a strong scientific and technical a background that no one can exceed. Frank, originally from Philadelphia, worked as a young man in his father’s finishing business serving many prominent customers in the area. To complement this work, he spent several years in the chemical coatings business working for three of the largest corporations, designing colors for leading furniture manufacturers. With a move to Portland in 1981, he opened his own finishing business and created color work and finishes for private homes, commercial businesses, and the restoration of the offices in the State Capitol. 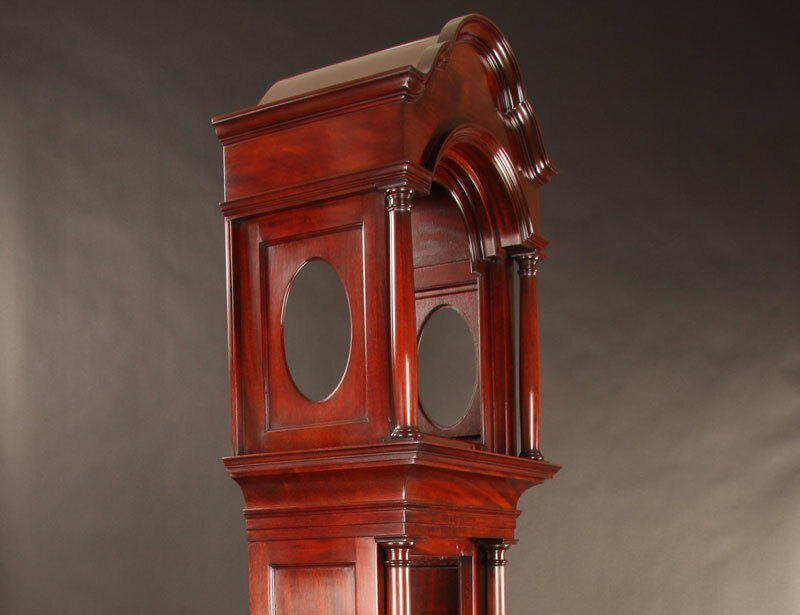 His understanding of wood, wood veneers, and their responses to dyes and coatings as well as his artistry and vision allowed Frank to create finishes that respect the nature of the wood itself, as well as the design and purpose of the work. Frank was an esteemed member of the Preservation Artisans Guild until his retirement in late 2018.The Preservation Artisans Guild honors past members who have retired from their craft. We are grateful for the contribution these members have made in the fields of traditional building crafts, interior design, architectural design, and the decorative and fine arts.